Hey guys! Let’s have a little fun today. 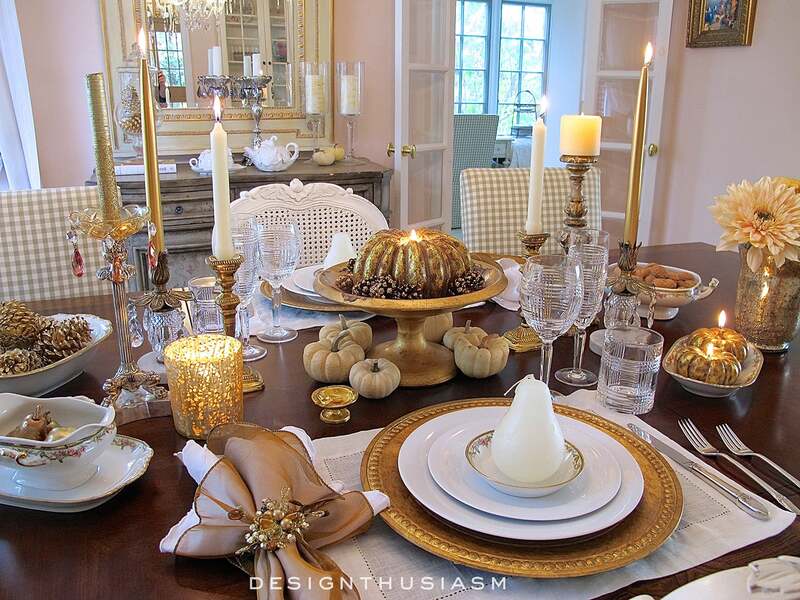 I’d love for you all to vote on the table setting I will use for my real Thanksgiving dinner next week. 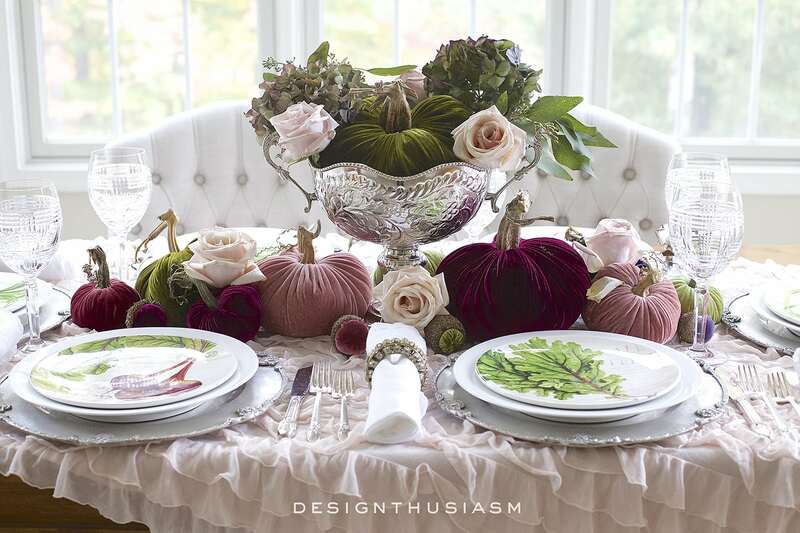 Many of you have seen a lot of my fall tablescapes, but perhaps you missed a few, especially the older ones. I’m going to list them all below and if you’d like a closer look, you can just click on the photo to be taken to the post. Maybe you’d just like to see them all in one place to get some last minute inspiration for your own table. Either way, you can help me select which table to use for my guests this year! Ok, now it’s your turn to vote! All of your tables are gorgeous. It was very hard to pick just one. Best of luck and Happy Thanksgiving! Thanks, Dawn! And a Happy Thanksgiving to you too!! 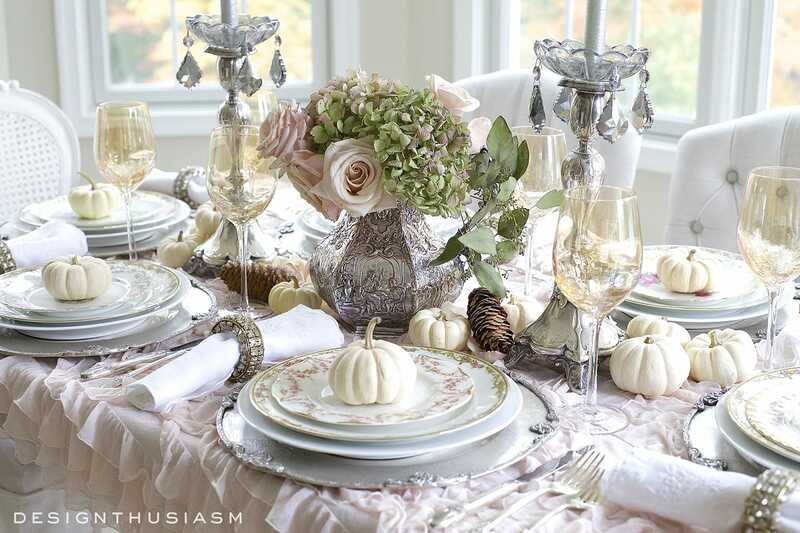 I see favorite details at each of your artistic tablescapes. No matter which you choose , your guests will be pleased . Beautiful. You have given me ideas for future tables to be set ! 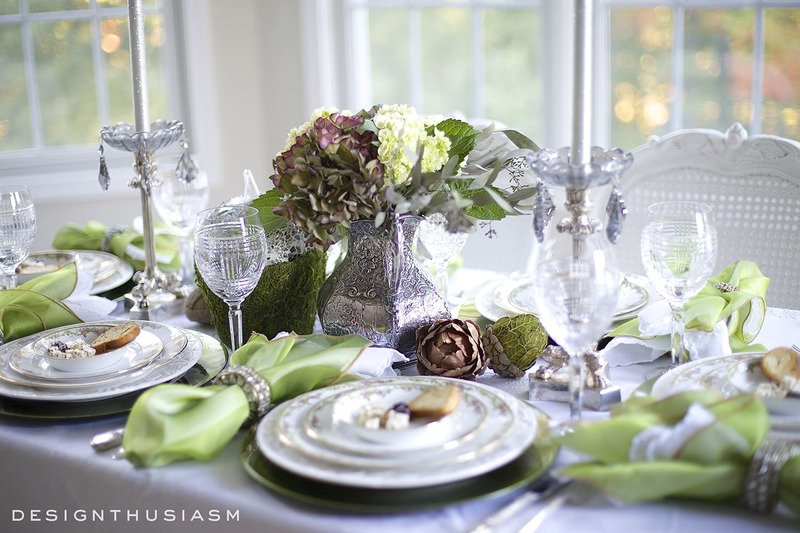 Loving a life with choices of china,linens,glassware,silver,etc,etc ! Now … where to store it all ?! Thank you very much, Christine! It is fun to be surrounded by small pleasures and things you love, no matter where you live… 🙂 I’m actually probably going to do a post about storage, as people always ask about it. Maybe after the holidays, when we’re all putting everything away! Happy Thanksgiving to you too!! That would be a Very Necessary post for me. 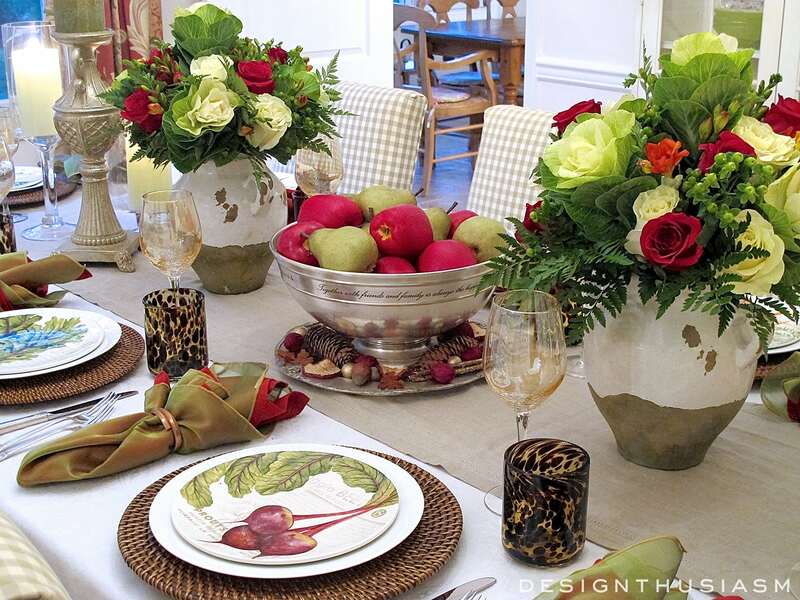 Another question I have for you: do you always serve your salad first on those gorgeous plates or do you simply move them to the side as your guests enjoy the salad along with the meal? I’ve never stacked my dishes at the table like you do. CG. Burnished copper and soft vintage my favorites, but honestly, anyone of them would be PERFECT! Have a happy thanksgiving Lory. I know you’ll enjoy just being in your new kitchen! Thanks, Ginger! It will be fun to see which one I root for… then I’ll know my favorite… 😉 Happy Thanksgiving to you too!! Lory, I adore your style & what a fun poll! Looking forward to seeing the results. I quickly narrowed my choices to two, but finally chose the table I most wanted to be invited to. All tables are very pretty! I voted for #5. It is simple, yet elegant. Thanks, Nadia! This is so fun getting feedback. Thanks for participating!! All your tables are beautiful, but I had to choose #4, Casual and Formal Mix Tablescape because it includes my favorite elements. 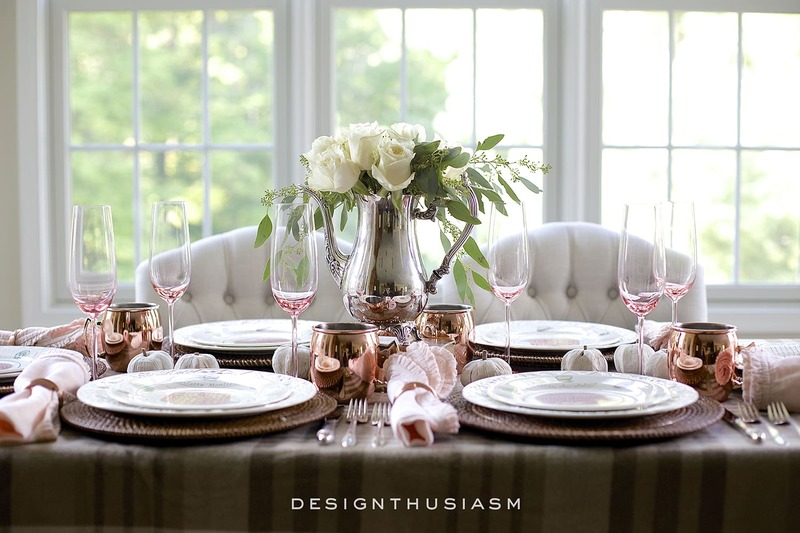 The beautiful wine glasses, the stunning candle holders with those beautiful bobeches, and those perfect bracelet napkin rings – perfect in my book. Aw, thanks so much, Jeannie! Happy Thanksgiving! I love the vibrant colors of numbers 8 and 10. Yet, I adore the calm and peace of number 4. And of course, they are all beautiful! Thanks, Joy! It’s actually really fun to see what people say, especially about the older ones… 🙂 Have a wonderful Thanksgiving!! All are beautiful and creative. Hard to pick but I checked the first one and it was interesting to see it is running a higher percentage at this time. Nice to see them all together. That was a great idea. Hope you will enjoy Thanksgiving. What a tablescape decision to make!!! I was so torn but finally voted number 8. Your first Thanksgiving in your beautiful new kitchen. Enjoy! Thanks, Connie! And yes, you’re right – first holiday in the new kitchen! 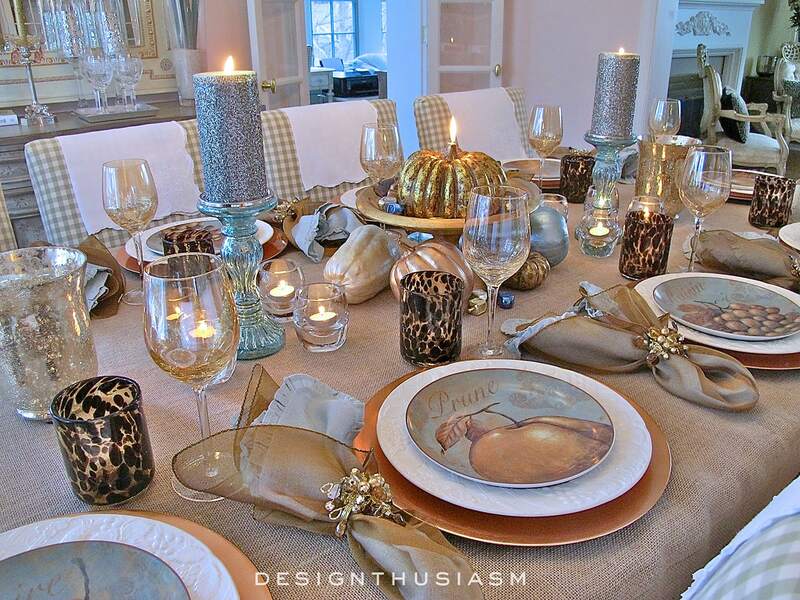 Love all of the tablescapes, but the blue/bronze table with the animal print glasses did it for me. Did I mention, I love animal print? Have a Great weekend!!! Thanks, Lory! And yes a huge animal print girl here too!! As Always Lori, they are all fabulous.My pick is Harvest fall.Happy Thanksgiving. No fair, Lory, when they are ALL so lovely. Any guest would feel special sitting at any of your tables. YOur tables are GORGEOUS! How can we pick just one? Whatever you choose this Thanksgiving will be amazing! 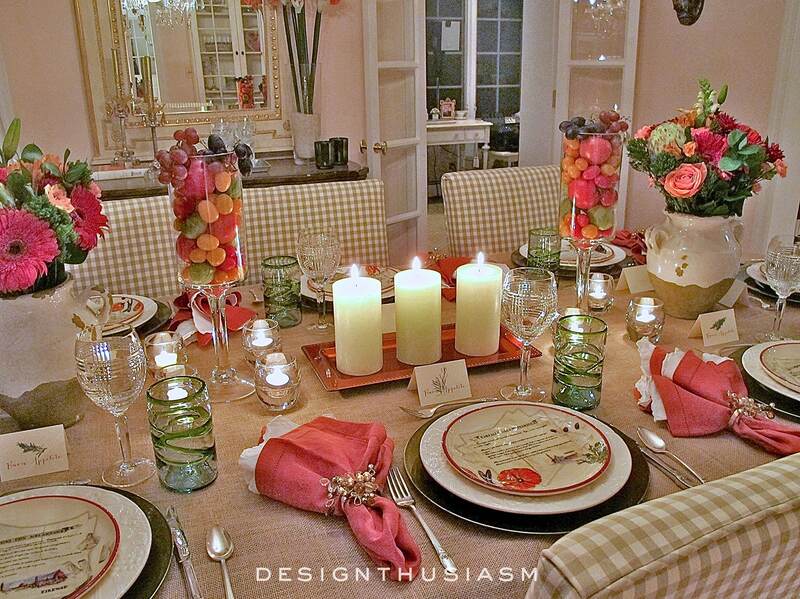 I would love to sit at your Thanksgiving table! Happy Thanksgiving! Thanks, Pam! Right back to you!! 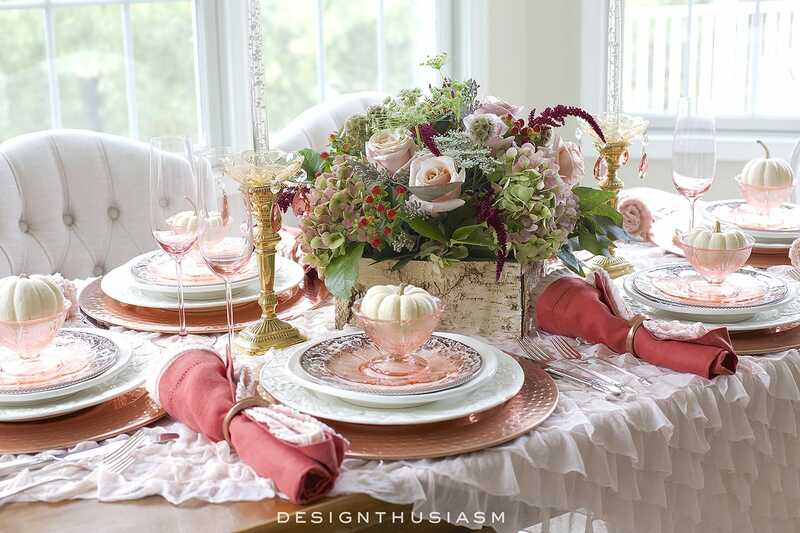 You always have such gorgeous tablescapes….I voted for #8 … however, they all get my vote! 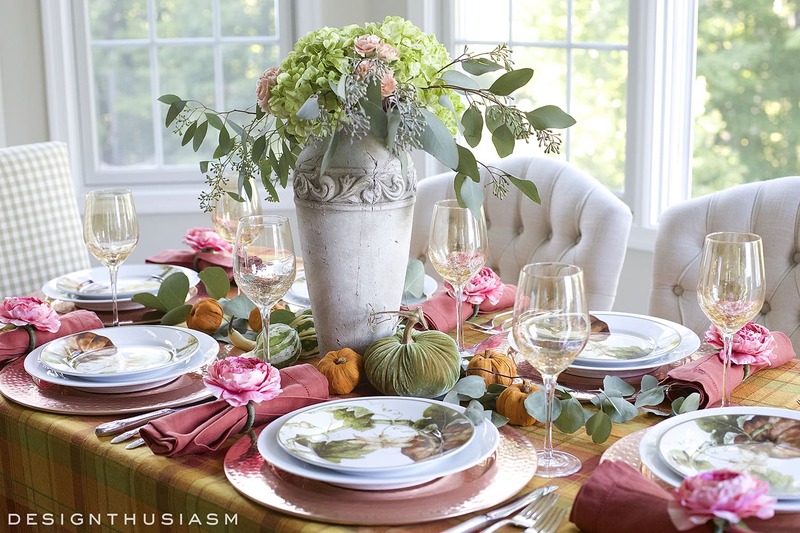 I love your decorating designs….gorgeous!!! Love them all, but number 3 stopped me in my tracks. A showstopper, so to speak.